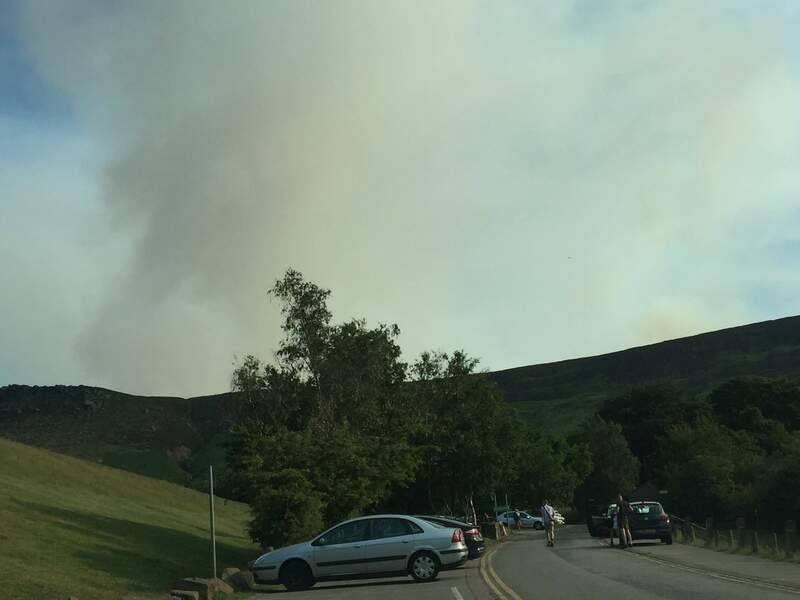 The Saddleworth Moor wildfire started on 24th June 2018 and is located near the Carrbrook housing estate in the North West region of England within the local authority of Tameside. 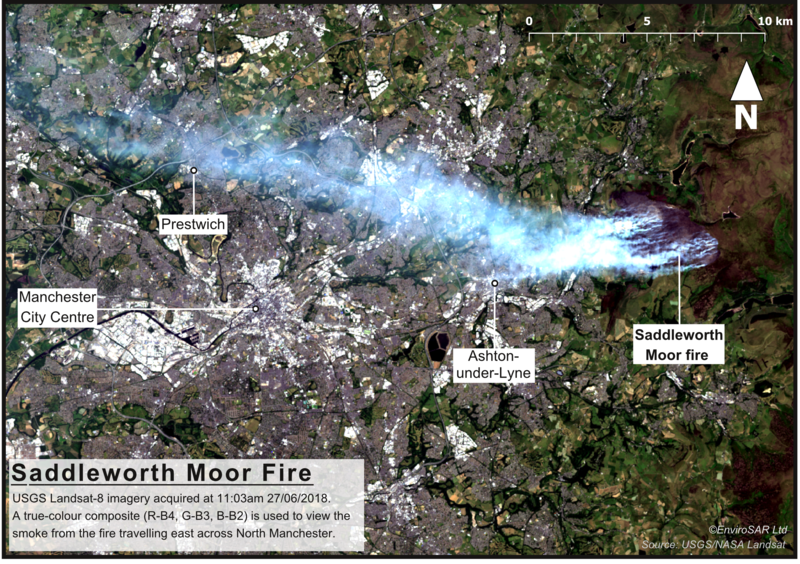 Image Left: First Sentinel-2 optical satellite image of the smoke plume above the Stalybridge and Saddleworth wildfire, produced originally by the Sentinel Hub. 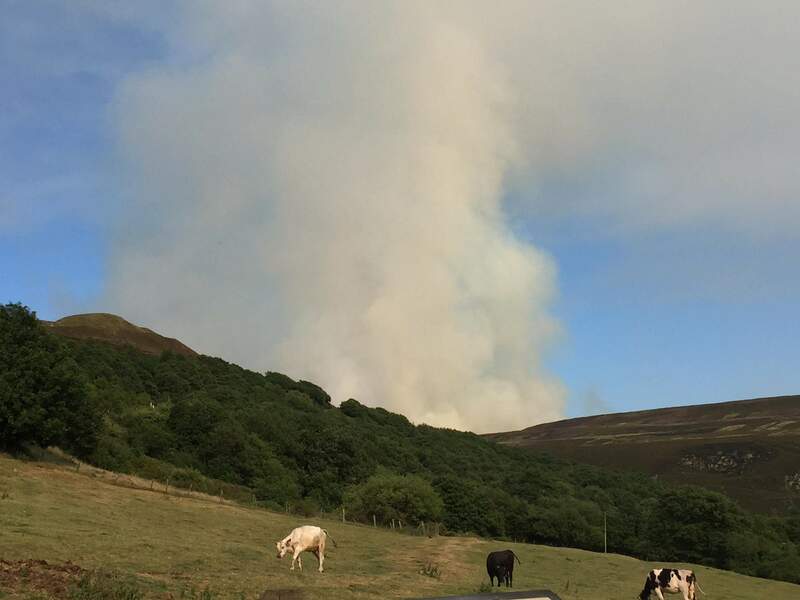 The wildfire began on Sunday 24 June 2018. 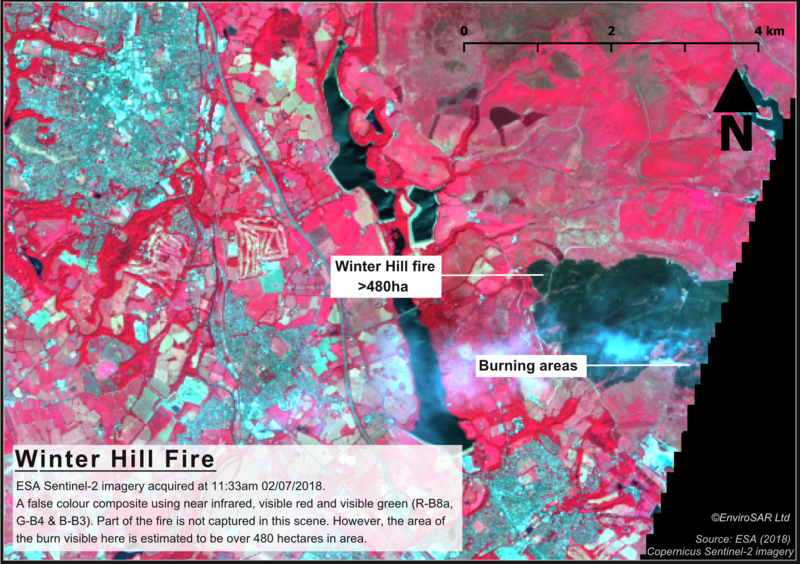 This true colour composite which is created using spectral bands 4 (red channel), 3 (green channel) and 2 (blue channel) was acquired by Sentinel-2 on 26 June 2018. 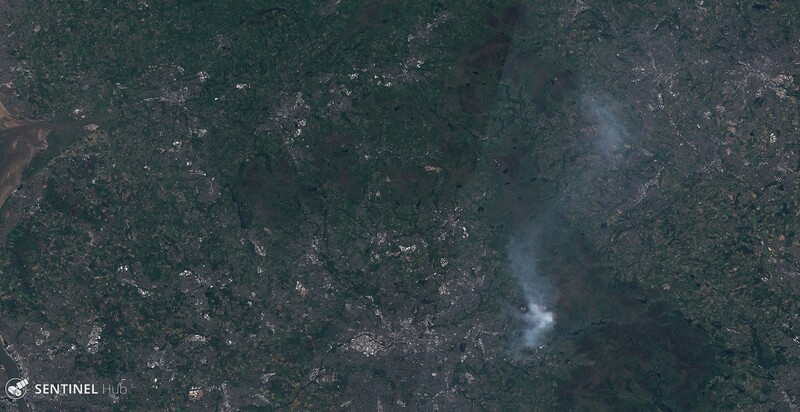 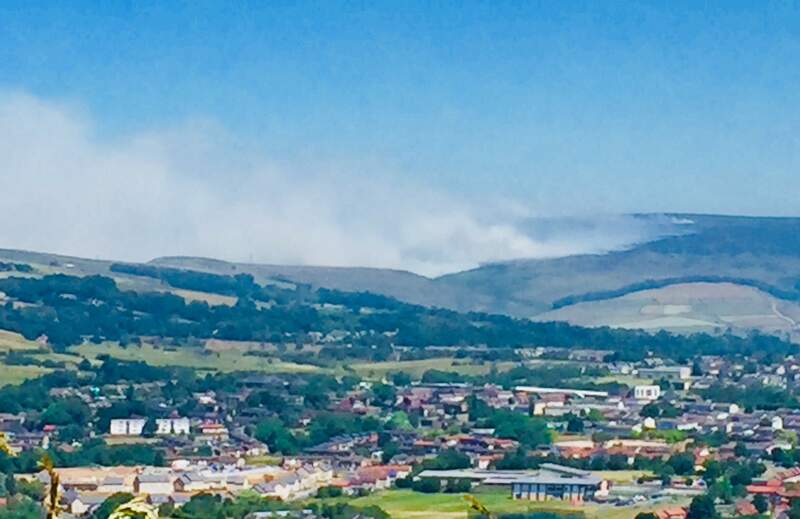 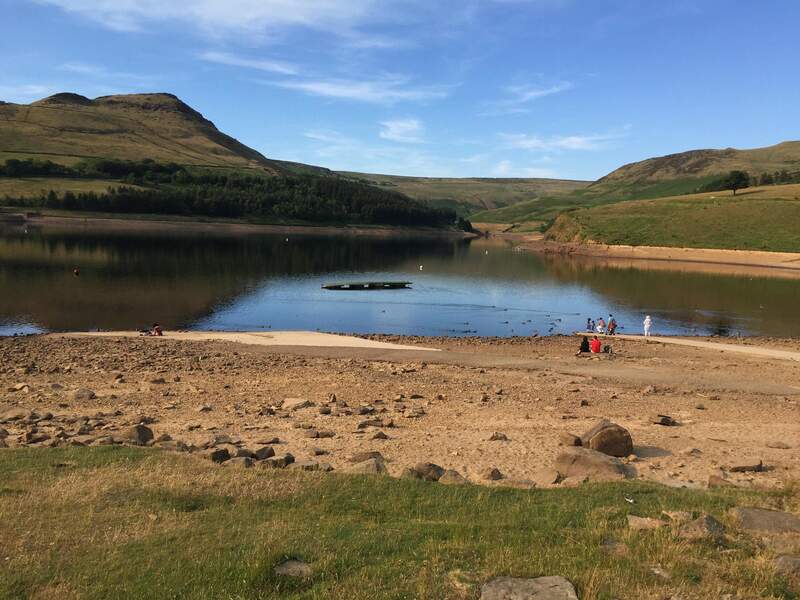 Temperatures on 26 June 2018 reached a high of 30 degrees celsius with the smoke plume drifting westwards covering areas such as Denton, Hyde, Gee Cross and Stalybridge. 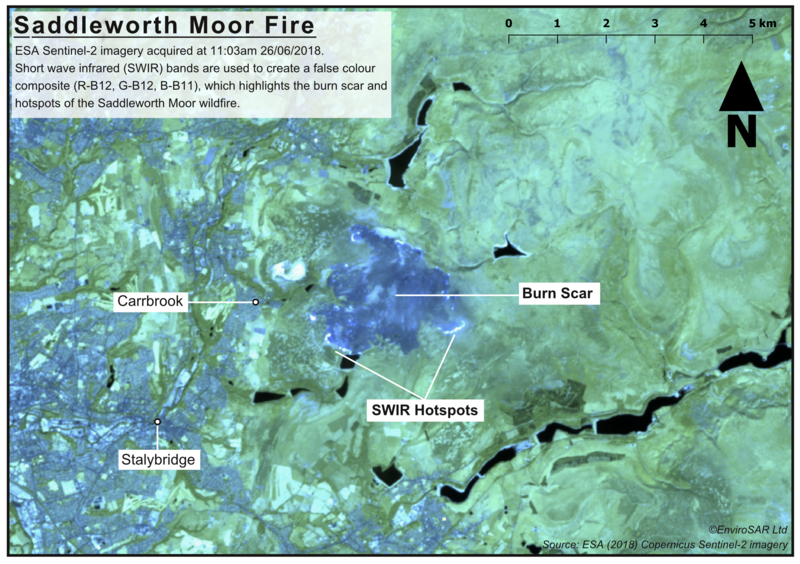 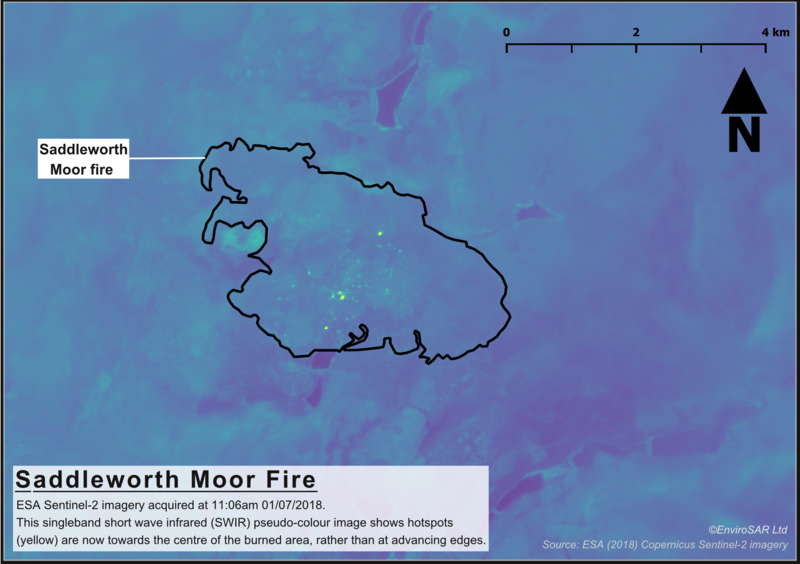 Image Centre: False colour composite acquired 24 June 2018 prior to the start of the wildfire showing the unspoiled peat moorland. 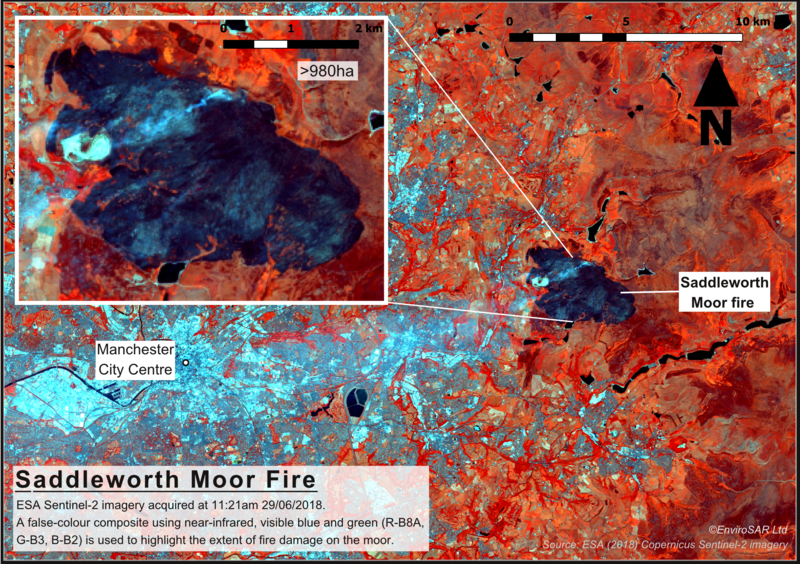 Image Right: False colour composite acquired 26 June 2018 showing the active burning edges of the wildfire to the southeast, southwest and north. 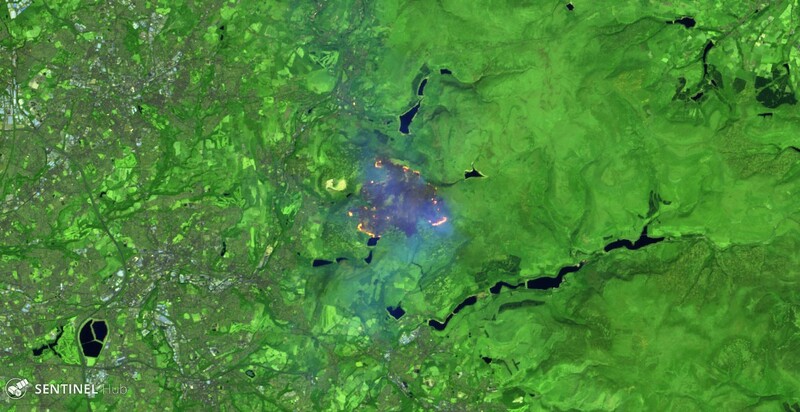 Reports from BBC News state that the blaze is covering approximately 6km (3.7 miles). 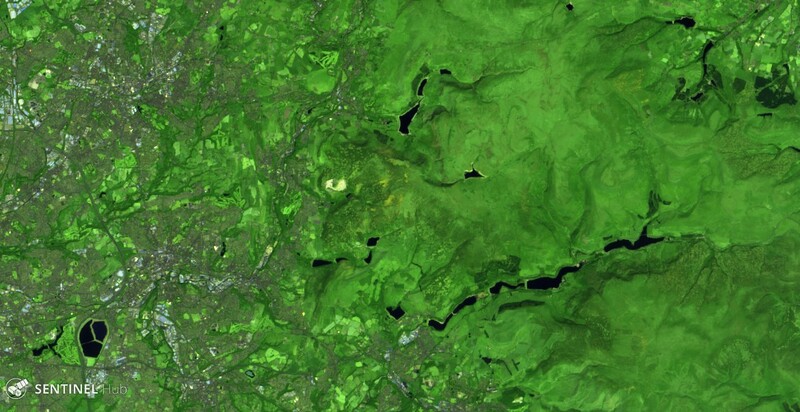 Images produced originally by the Sentinel Hub.